An initiative called Wellesley SMILES, new to campus this year, seeks to create “pop-up” moments of fun and spontaneity in student lives. 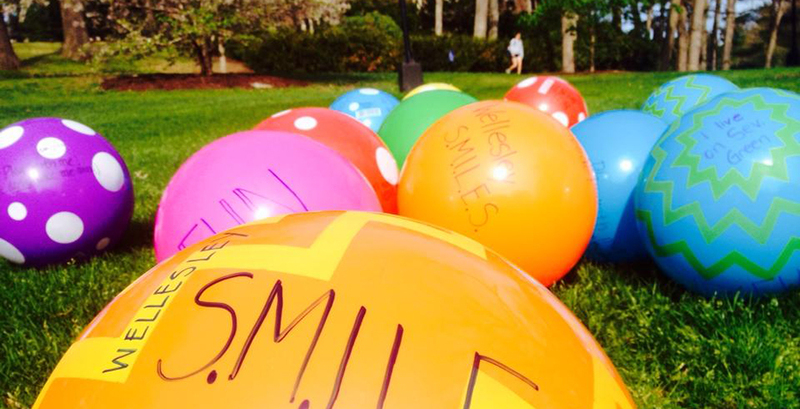 Wellesley SMILES was recently featured this spring in USA TODAY’s college section, as an example of “random acts of kindness” movements across the country. And as they told USA TODAY, the group’s physical tokens—and Wellesley students’ smiles—are the best form of publicity. Find out more about Wellesley SMILES on their Facebook page, and check out the Student Life-sponsored “Take a Break” calendar for finals period.